Last winter, I met D.G. at AI Summit in San Francisco. We chatted about programmatic advertising industry. Subsequently, D.G. recommended three great sources for me to learn more about his domain. I share his recommendation with you here. 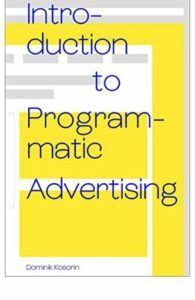 A short book titled Introduction to Programmatic Advertising gives a general overview of online programmatic advertising. A presentation: the Display Advertising Technology Landscape talks about the roles and interactions of a variety of players in ad tech. For blogs and news: adexchanger is devoted to the online advertising landscape and read by the practitioners. I read the short book during a weekend some time ago. 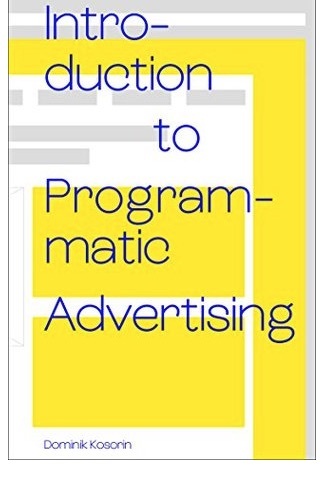 It is short and plain enough that people who are not working in the advertising domain such as myself can comfortably read it in a weekend purely to satisfy the intellectual curiosity.